Promising research is proving there may be a natural way to support women with polycystic ovarian syndrome, or PCOS, in managing insulin levels. Myo-Inositol and D-chiro-inositol are worth learning more about! Myo-Inositol and D-chiro-inositol (from here on referred to as MYO and DCI) are two of nine forms, or isomers, of inositol that have been studied for their potential to aid the bodies of women with PCOS in properly utilizing insulin. Insulin resistance can lead to overall hormonal imbalance and is a common symptom for women with PCOS. Every tissue in the body has its own ratio of MYO to DCI – MYO being higher and producing DCI when needed. Myo-Inositol is found in human tissues and a variety of food sources, which include unprocessed grains (oats, wheat germ and bran), fresh citrus fruits (except lemons), cantaloupe, brewer’s yeast, unrefined molasses, liver, lima beans, raisins, peanuts, cabbage, and lecithin. D-chiro-inositol is not known to be naturally abundant in most diets. The human body makes DCI from MYO via the action of an enzyme called epimerase. A 2014 study published in Gynecological Endocrinology aimed to evaluate how MYO and DCI affected women with PCOS. Fifty women clinically diagnosed with PCOS participated in this study. They were broken into two groups: 25 women given 4 grams of myo-inositol plus 400 micrograms of folic acid per day for six months and another 25 women were given 1 gram of D-chiro-inositol plus 400 micrograms of folic acid per day. Both MYO and DCI are known as insulin-sensitizing agents for women with PCOS. When insulin levels are balanced, the body is better able to regulate overall reproductive function, including hormone balance, ovarian function, egg quality, and the menstrual cycle. 1. A 2012 systematic review of randomized controlled trials published in Gynecological Endocrinology shared that researchers have studied the effects of MYO versus those of Metformin, a common prescription medication given to women with PCOS. They found that 18% more pregnancies occurred for the women who took MYO than those who took Metformin (11%). In this same study, one group of 60 women received 1,500 mg of metformin daily and another group of 60 women received 4 g of MYO plus 400 mcg of folic acid daily. The results showed that of the women taking MYO and folic acid, 65% experienced restored ovulation and only 50% in the metformin group experienced the same. No two cases of PCOS present the same in women diagnosed with this syndrome. We have learned that making dietary and lifestyle changes are first and foremost critical. It is only when these are in place that herbs, nutritional supplements, and natural therapies are able to be most effective. Caffeine depletes inositol stores, so part of this dietary change should be to limit or quit caffeine entirely. MYO and DCI are an important consideration as part of a PCOS natural health restoration program. 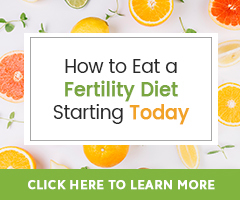 Being that PCOS can greatly affect a woman’s fertility, any new research pointing to promoting proper function of the body through natural means, such as MYO and DCI supplementation, is exciting! *Should this be the case, this is yet another reason to boost gut flora – think probiotics. Haas, E., & Levin, B. (2006). Vitamins. In Staying healthy with nutrition: The complete guide to diet and nutritional medicine (21st century ed., pp. 134­-135). Berkeley, California: Celestial Arts. Which is better for those new to Inositol:MYO or DCI? This will depend on each person’s situation, yet either may be fine. Our FerilicaTM line of supplements sells Myo-Inositol at the Natural Fertility Shop. 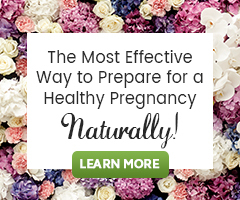 Is it safe to take Inositol for fertility if you do not suffer from PCOS? Myo-inositol can be taken by women who do not have PCOS. What we know is that myo-inositol is part of the B vitamin family (B8), and is a building block used by the body for many cell functions. For fertility, myo-inositol is probably most researched for its ability to promote normal ovulation and hormone balance for women with PCOS. It may also be a great way to improve egg health for all women with egg health/quality concerns. It forms a critical component of follicular fluid, playing a role in healthy follicle development. Myo-inositol is believed to enhance insulin sensitivity of the ovary, which encourages better egg quality.